Past few weeks were a slump, I did not do much knitting – and a lot of sleeping – in the evenings, and even less for on my commute. But from middle of last week it’s becoming better again. 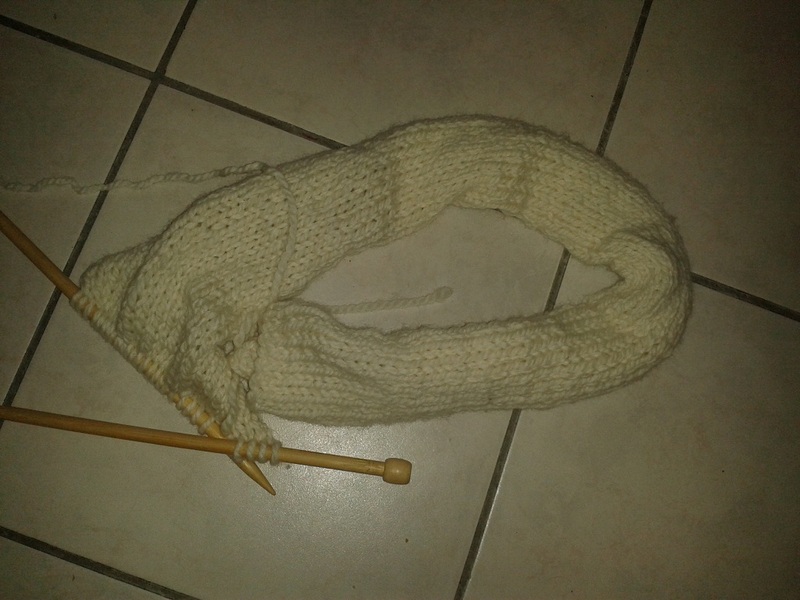 I have started a cowl for my mom. I looked at tens of different pictures, and decided to go for a simple stockinette stitch. I’m running out of yarn though and hope the LYS will have more – I would like to make a really long one, possibly so that she can wrap it three times around her neck – for the harsh winters back home. And yesterday I finally had the time to gather my courage and give the dress yoke a go – and finished it. I’m not totally convinced I like it, but I think I need to see the whole dress… Good thing about it being so modular is that I can always take the top part off and do something different. Until then, now it’s just rounds of motives and the dc/tr sections in between. Separator image Posted in My kniting & crochet and tagged with cowl, crochet design, crochet dress, infinity scarf, Red Dress, WIP Wednesday, YOP. 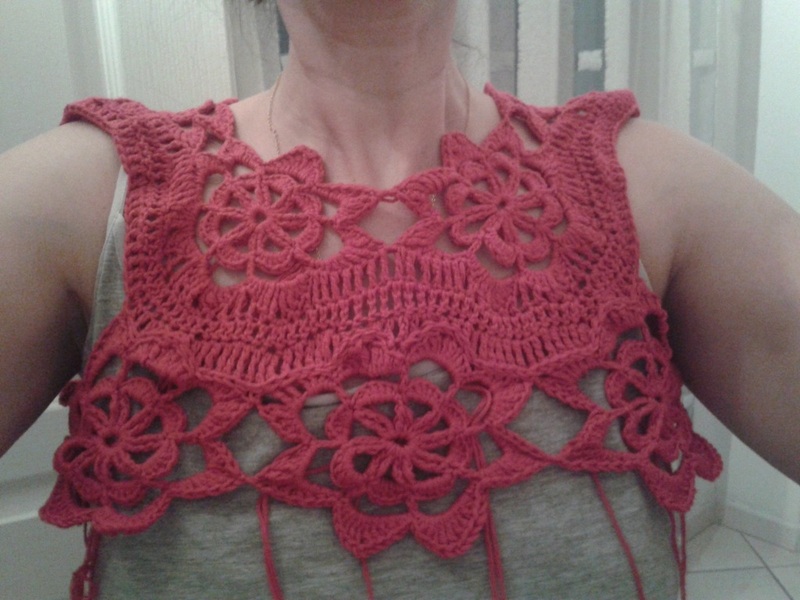 Looks like the construction is good for the yoke, but I wonder whether you want it a bit wider from one side to the other towards each shoulder? 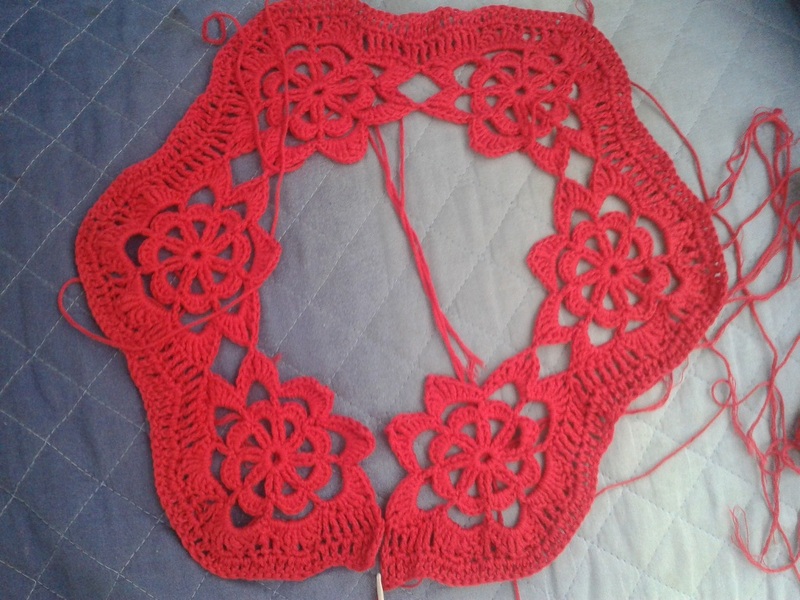 I personally would prefer more smaller flowers, but in this yarn it’s not an option! Hope you can get more yarn for your cowl and the dress is coming on, it’s good you can take it off and change it if when you get further on you don’t like it. Switching between projects really helps me, the best way to get the mojo back on a hard project.